Engineered At – 23 West Productions, Inc.
A1 to A3 contains samples from "Papa Don't Take No Mess" (Brown/Wesley/Bobbit/Starks) Performed by James Brown, Courtesy of Dynatone Publishing Co., Administered by Unichappell Music Co., Inc. (BMI), Under license from Polygram Special Markets, A Division of Polygram Group Distribution, Inc. The Flow appear courtesy of Perspective Records. Stunning Deep House from CJ Mackintosh here. 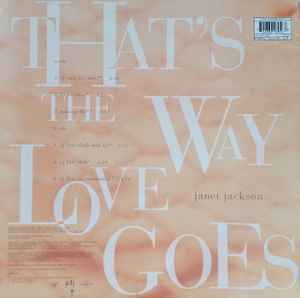 The Jackson vocal is rather incidental, although it does work quite well with the overall vibe of the track. However, the Instrumental Dub is without doubt the superior version here - a beautiful deep house groove. A classic in it's own right.